She has a role to play in the 11th and final Madea film from Tyler Perry. 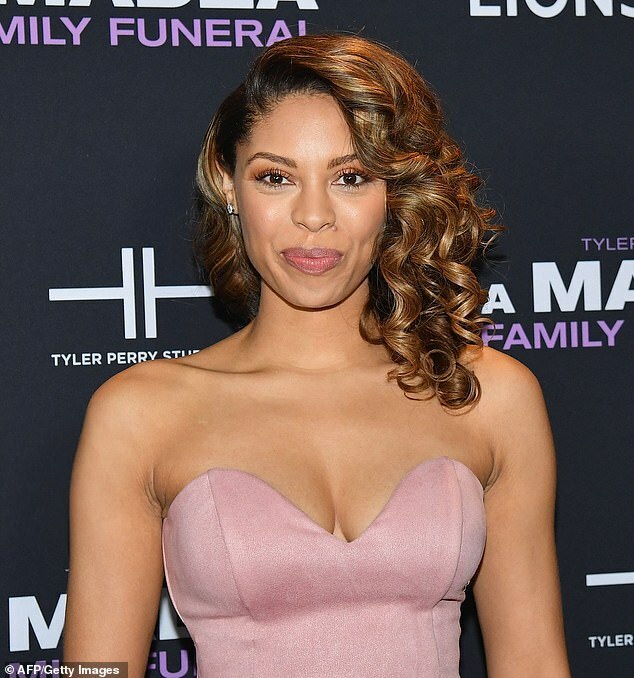 And on Monday night, actress Ciera Payton pulled out all the stops for the New York premiere of A Madea Family Funeral. The actress, 33, showed up in a strapless pink blush dress and shiny silver heels. Payton showed plenty of skin in her revealing outfit. The sweetheart neckline flaunted her bosom while the side slit showed off her shapely legs. The New Orleans native wore her brunette locks in ringlets and styled to one side. In her last big screen outing, Madea and her family are faced with unexpectedly having to plan a funeral for a loved one. ‘In some ways, there’s nothing funnier than some of the things I’ve seen go on at a black funeral. 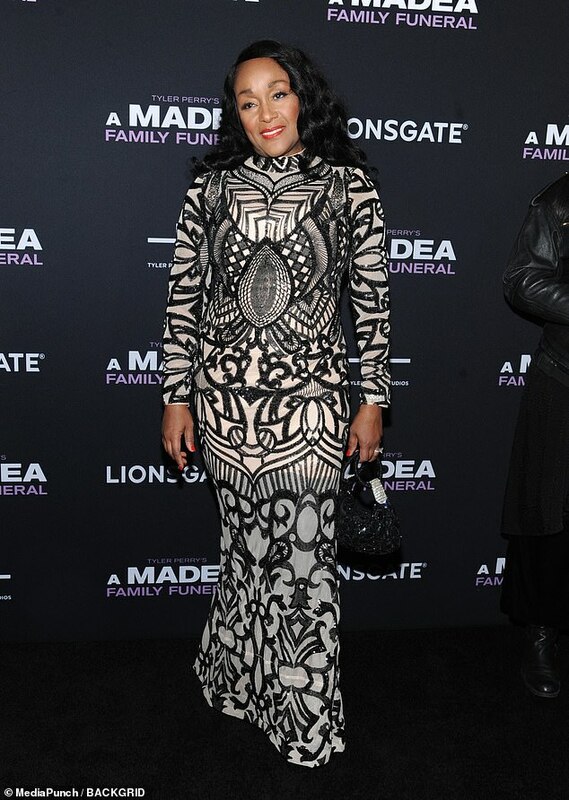 So I thought there was no better way to poke some fun at those rituals than to imagine Madea planning a big funeral. 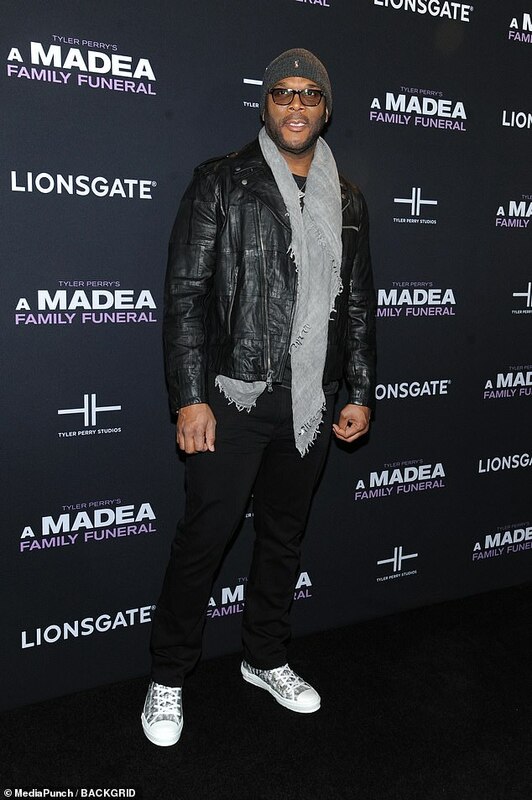 I mean, who would let Madea plan a funeral?’ he told UrbanBridgez.com. Cassi Davis and Patrice Lovely return to reprise their roles as Aunt Bam and Hattie. Lovely, 51, looked like her name in a beige gown with shiny gold collar and cuffs and gold diamond-shaped motif at the navel. She added shiny heels and large sparkly hoop earrings. 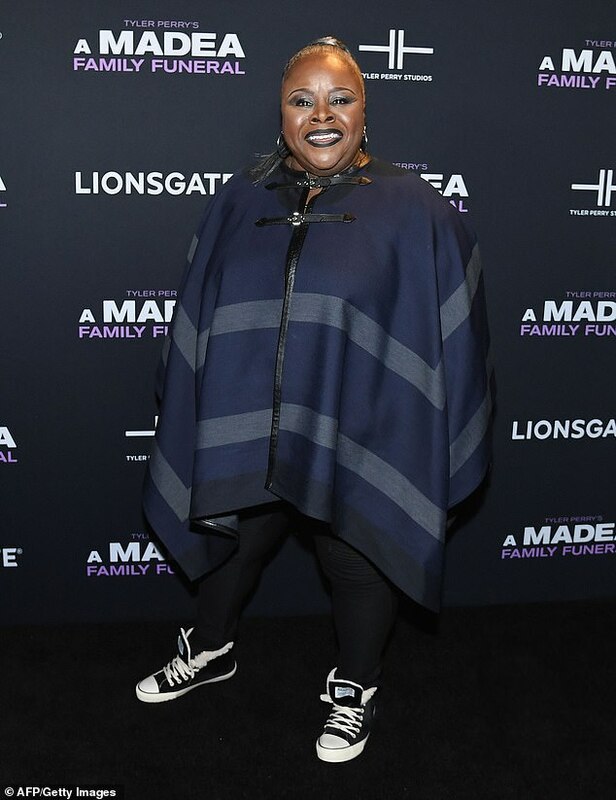 Davis, 54, covered up in a striking blue and gray poncho worn over black leggings and with black and white sneakers. Castmember KJ Smith turned heads in a fuchsia jumpsuit. The one-sleeve outfit hugged the actress’s curves and featured a ruffle across the asymmetrical neckline and flared trousers. Jen Harper, who is also in the movie, opted for a full-length monochrome patterned gown with long sleeves. Co-star Quin Walters, 36, was stylish in an on-trend black velvet dress with low-cut contrasting pink silk bustier. The drop sleeves bared her shoulders and she added perspex heels with black ankle straps. Also on hand for the screening were guests Cathy Kelley, Britne Oldford and Kelly Killoren Bensimon. 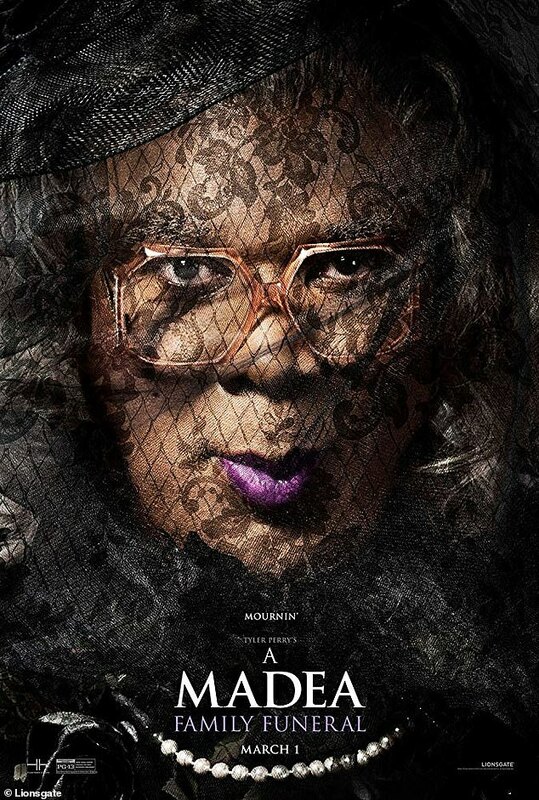 A Madea Family Funeral opens in theatres on March 1.